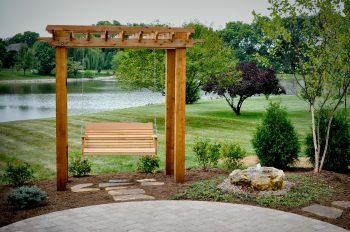 Aside from improved aesthetics, do you know mulch actually provides a number of important benefits to your landscape? inorganic, but organic mulch decomposes and consequently it must be replenished each year. landscape, but they tend to decompose faster and may contain toxic substances that you would not want to have near your garden or children’s play areas. Don’t put it on too thick. 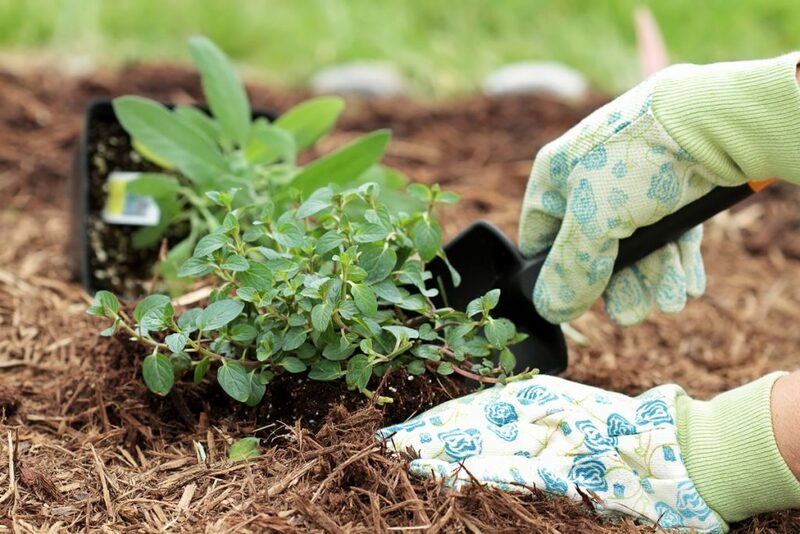 Thick mulch will actually raise the temperature rather high as decomposition occurs drying it out more quickly and making it more susceptible to fungi which can cause the mulch to repel water. Thick mulch can also slow down water evaporation from damp soil keeping it too wet for a prolonged period which can contribute to root rot and oxygen deprivation. Keep mulch around 1 to 3 inches thick for best results. Water newly installed wood or bark mulch. Newly applied mulch can dry out creating conditions favorable for fungi which can cause the mulch to repel water. Applying some moisture immediately after installation helps to retain that moisture in the mulch. Do not pile up mulch against tree trunks or plant crowns. Since mulch reduces moisture loss, placing it against plants or trees creates a favorable environment for diseases such as crown rot. When piled around plants, it can provide an attractive hiding place for plant eating rodents. 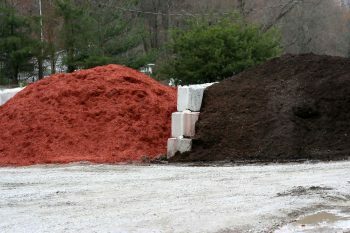 Primary Grounds uses McCarty Mulch & Stone of Greenwood as our mulch supplier. They manufacture and process their own hardwood mulches, fine mulches and color enhanced mulches to their specifications to control quality.